Want to eat healthy without giving up on the enjoyment of eating out? Here’s how. If you’re fussy or intolerant to gluten or whatsoever, this is heaven, especially if you’re working in the CBD. Run by a health coach with a strong advocate for clean eating (meaning no hidden sugar, preservatives or chemicals), the menu boasts hormone-free chicken bowls, superfood salads, acai berry bowls and buckwheat porridge. Everything is made from scratch, including the sauces and dressings. Healthy af but if you need a good detox, why the hell not? 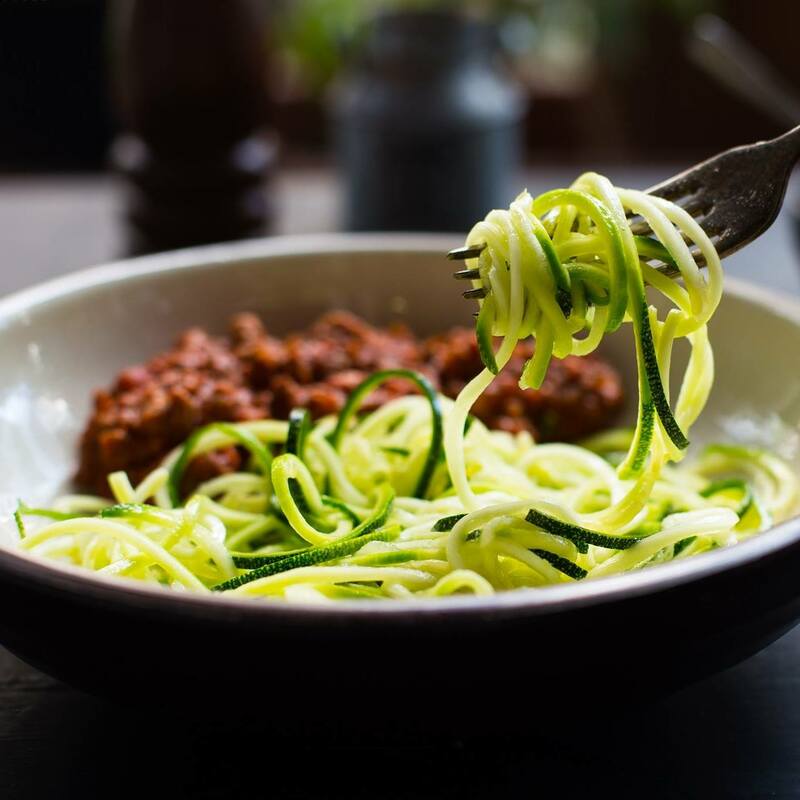 What you might like: Definitely the zoodles bolognese, which is basically zucchini julienned into noodles and topped with a heap of meat sauce. If you’re a health nut like Alexis Bauduin, look no further. The same guy who appeared on The Apprentice Asia in 2013 brings you YOLO, a restaurant that makes healthy eating accessible (the delicious kind of healthy) and caters to the vegetarians, vegans and gluten- and lactose-intolerant. You got a problem, he’s got the solution. “We go beyond the traditional perception of a healthy food joint to create an inclusive and fun space for friends to gather and enjoy good, healthy food,” he says. The menu is compartmentalised into differing calorie intakes – cauliflower and chicken fried rice will set you back 300 calories, while a salmon steak salad will do a 470. If you don’t have the time to head out, you can personalise a weekly meal plan according to your desired calorie intake, and they will send it straight to your doorstep. What you might like: The spiced chicken breast with cauliflower fried rice and coriander lime dressing. Add a few drops of Tabasco and you’re good to go. Brought to you by the same folks at Kilo and Camp Kilo, Grain Traders is an all-day healthy concept that appeals to the big eaters. There are six signature bowls to choose from, and for $16, you can build your own. Take your pick from its wide range of grain, protein and vegetables, and try not to suffer a food coma later. What you might like: We love the El Hibaro – white sushi rice topped with strip loin and salsa verde, charred vegetables, plus wafu tomato and bean sprout salad. At one glance, this humble cafe is not exactly the type that will lure you in, but it is perfect for a post-gym feast. Get Tracy’s Special Udon that everyone seems to rave about. Tomato, parsley and mushroom are blended into a soup that’s served with uh, vegetarian prawns and of course, udon. Don’t like the idea of vegetarian prawns? Ask for a substitute. What you might (also) like: Go for the Wild Rice Congee if you like rice, wolf berries, mushrooms and seaweed. Out of all the poke restaurants in Singapore, we like this one the best. Granted, it was the first that brought poke to the city, but flavour-wise and all? Spot on. The fish (salmon or tuna) is coated in various dressings – wasabi mayo or spicy, for example – and you can pile them onto white or brown rice. Each bowl comes with a generous portion of salad too, and if you want to skip on the rice, there’s more salad to come. What you might like: We suggest mixing your rice and topping it with wasabi mayo tuna and spicy salmon. That, and musubi (caramelised spam sushi), if you’re there for dinner. Billed as a health haven, Real Food offers food that’s free from processed ingredients and anything artificial. Freaking healthy, but delicious as hell. Food ranges from dumpling noodles and sourdough pizza to beetroot burgers and sweet potato pancakes. Just avoid the coffee, you will have better ones elsewhere. What you might like: The Organic Fried Rice. It’s vegan and gluten-free, and stir-fried with pineapple, capsicum, French beans, corn and carrots. So good.